Bend Rug Cleaning - Bend Rug Cleaning is fully trained in every rug cleaning technique. We posses the proper knowledge, equipment, and chemicals to clean your fine rugs safely and thoroughly. Bend Rug Cleaning is fully trained in every rug cleaning technique. We posses the proper knowledge, equipment, and chemicals to clean your fine rugs safely and thoroughly. 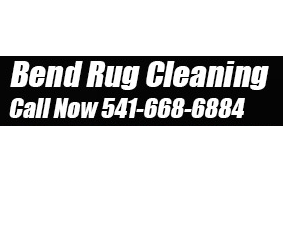 Bend Rug Cleaning is Owned and operated by Tony and Laura Rosiello. For over 20 years Tony and Laura have been involved in the floor care industry. Over the last few years , having been mostly in the carpet/tile/wood/upholstery cleaning business, we have realized that Central Oregon is in need of a Professional full service Area Rug Cleaning Facility. Although some carpet cleaning companies choose to attempt cleaning fine wool rugs in homes, it is not a suitable type of cleaning and is also very risky. WOOL RUGS SHOULD NEVER BE CLEANED USING TYPICAL CARPET CLEANING EQUIPMENT AND CHEMICALS! For this reason, most fine area rug owners ( that know better) choose to send there rugs out of town to a professional rug cleaning plant..
J Curtis Carpet Cleaning Inc offers cleaning services including carpet, upholstery and difficult surfaces within the Portland, OR area.